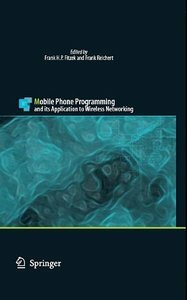 This book provides a solid overview of mobile phone programming targeting both academia and industry. The book covers all commercial realizations of Symbian, Windows Mobile and Linux platforms. Each programming language (JAVA, Python, C/C++) and a set of development environments are introduced step by step making developers familiar with current limitations, pitfalls, and challenges.